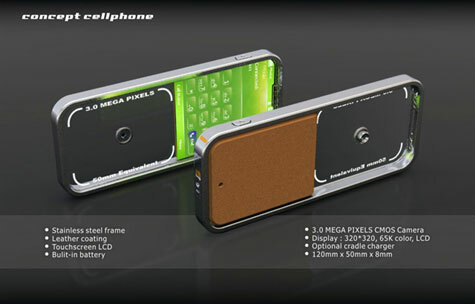 the ZX1 Lamborghini PDA phone by ASUS looks and acts much like the iPhone. 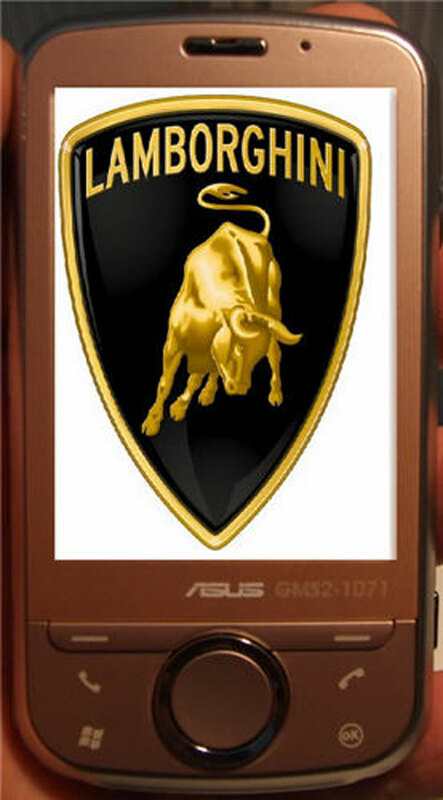 Italian auto manufacturer Lamborghini is releasing their own touch-screen phone, which is speculated to look and act very similar to the Apple iPhone. The ZX1 Lamborghini PDA phone will be made by ASUS who will unveil the luxury gadget in Germany later this month at the CeBit tech show. 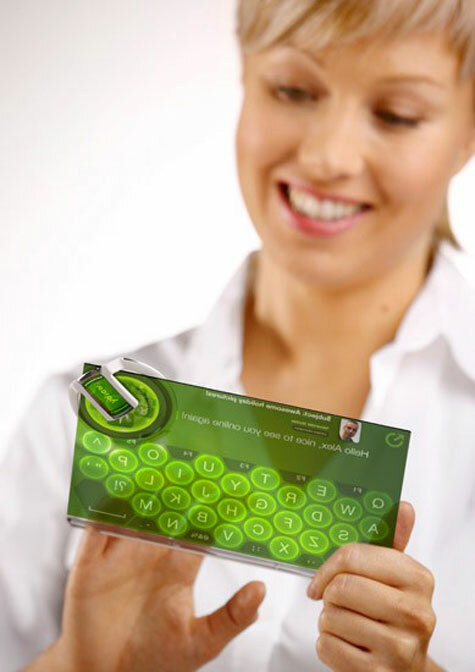 Nokia’s morphable, meltable, shape-shifting nanotech display. Concept. Nokia’s new Morph concept phone would use nanotechnology to give it a flexible body with a transparent display that could be re-shaped depending on the user’s needs, a far cry from today’s solid and chunky devices. Even the electronics inside it would be transparent and flexible, so the whole phone may be twisted and stretched into bracelet shapes or tablet form, and nanotech cleverness means it would even clean itself. Imagine a phone made from cotton. Soft, pliable, and light yet never compromising on power or performance. The Soft Phone concept by designer Qian Jiang takes what we know about electronic cellulose structures and squeezes every last ounce of performance out of it, literally! 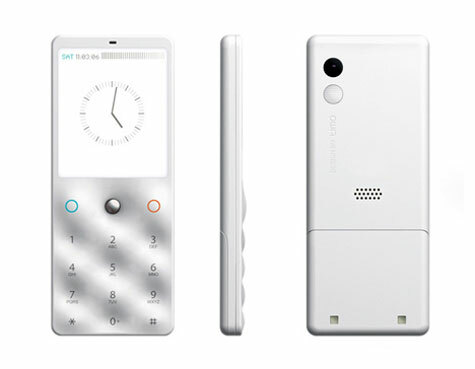 The Soft Phone concept by designer Qian Jiang. A soft, squeezable phone that can take a beating inside my jeans or wallet and still be good. 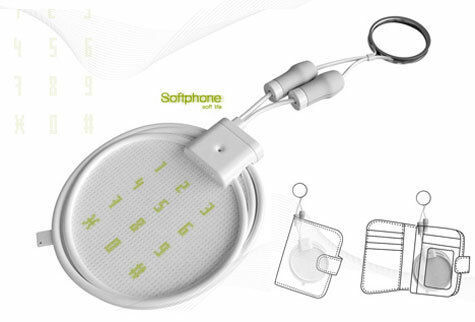 The Soft Phone is constructed of a series of discs with electronic fabric stretched in between. The cell antenna, battery, camera, and micro electronics are all contained and protected inside a small clip which itself is made of soft, squeezable, stress-reducing silica. So when your boss or wife shouts at you in a call, you can just squeeze the phone to relieve your stress. Spice up your gadget collection with this sizzling new bling from Goldstriker.GoldStriker has just announced their Platinum Motorola KRZR. 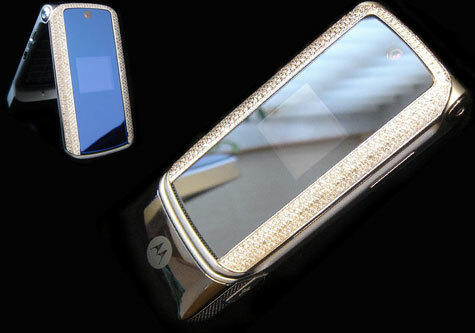 The phone covered with platinum and 336 of finest Swarovski crystals. It will be released on February 21st for $1200. Just before running out of the door in the morning, you can catch your mobile from Stelton’s new Super Charger - a “charging station” shaped as a cylindrical container in stainless steel and plastics with a slot at the top. In it you can place the family’s mobile chargers and pull the cables through the lid - just to plug into mobile phones, cameras etc. This way you avoid the “chaotic” impression of big, black phone chargers hanging around the sockets of the kitchen and living room and you always know where to find your mobiles. The solution is elegant and you avoid disorder. The Super Charger is designed by Designit. Designed by SMS Technology Australia and developed by one of the worlds leading and most respected mobile research and design companies. Keeping time and keeping Contact will never be the same again. The M500 takes mobile communications to a whole new level. 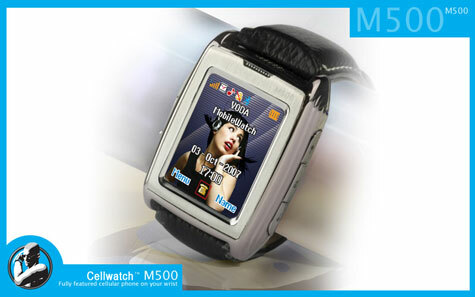 With over 80 hours standby time, full sms functionality, Touch Screen, full blue tooth compatibility, Dial Up Networking, Games, MP4 Player, 128 MB Memory, USB connectivity for software uploads, downloads, 300 number memory storage, 40 embedded real tones and its sleek sophisticated design make this the world’s first truly mobile wristwatch. Hong Kong-based designer Timo Wong’s idea of great cellular phone design derives from the organic simplicity of an object used to prevent fruit from bruising. His Cells cell phone concept directly mimics the contours of a typical fruit tray, separating numbers not by lines or scores, but by seamless, curved surface variations. 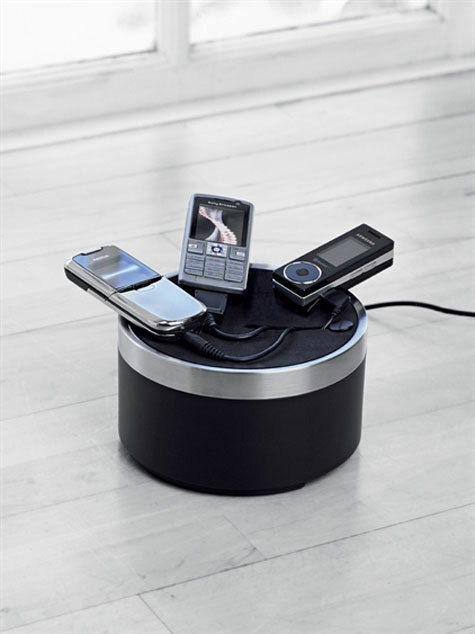 The m:ssage handset is one of the leaders in a new generation of alternative luxury mobile phones. 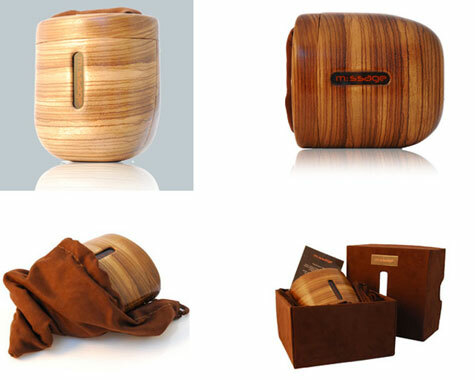 Hand-built with care, from the finest materials, it facilitates a new level of intimacy between partners. The m:ssage handset comes with its own unique phone number and should be given to a person special to you. With the number, you have the ability (using any conventional mobile phone) to send a soothing message at anytime, to a loved one, anywhere in the world. Anyone who works in a big company needs a badge to get in and out of buildings throughout campus. 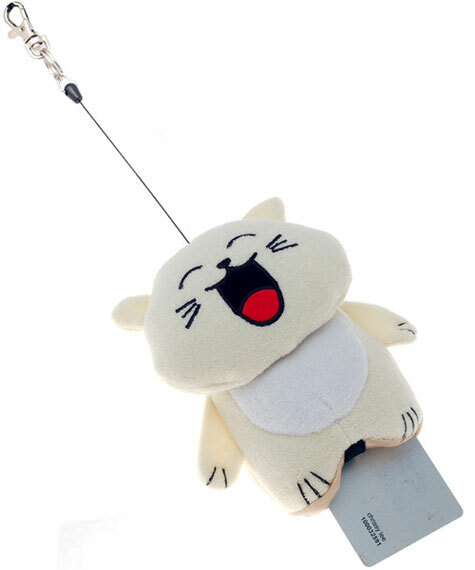 Instead of sporting your badge like everyone else, why not get a little funky with Onatoko’s adorable smart ID holders with retractable strings. They’re available as a red devil or cute kitty cat. The company also has some Bikini Pig cellphone holders, monitor cleaners and other curiosities.